A Kansas letter carrier was unable to carry out some of those Postal Service duties on Friday, after finding a snake on someone’s mailbox, police said. 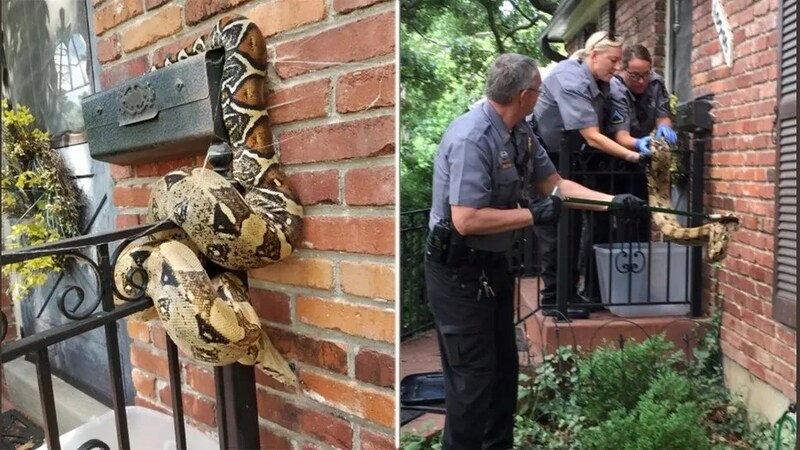 The red tail boa constrictor, which appeared on Broadmoor Street, is believed to have broken free from a neighboring home, police told The Kansas City Star. Authorities are hoping someone reaches out to them about a missing snake, Officer John Lacy told the outlet. After the capture, the animal was brought to the Great Plains SPCA, Lacy said.